Want to know how much space do you get on Dropbox, or how many files can you upload or download to your Dropbox? This guide will show you the details about Dropbox file size limit. Dropbox, as a file hosting service, has been trusted by a large amount of users to store and share files, collaborate on projects, etc. However, since many errors like 413 Request Entity Too large come out while uploading files to Dropbox, many users are stuck on a problem: Dropbox file size limit. Then how many files or how large files can you upload or download via Dropbox? What is the Dropbox file size limit? Read on to get exact answer. Files uploaded to Dropbox via the desktop app or mobile app has no file size limit. Files uploaded through the website have a limit of 10 GB per file. In other words, each file you upload through the website must be 10 GB or smaller. File size is only limited by the amount of space available in your account. That’s to say, all files uploaded to your Dropbox must be smaller than the size of your Dropbox account’s storage quota. For example, if your account has a storage quota of 2 GB, you can upload one 2 GB file or many files that add up to 2 GB. If you are over your storage quota, Dropbox will stop syncing. If you are over your storage quota, Dropbox will stop syncing until you are below your limit. Step 1 Sign in to the Dropbox.com > Hover your mouse over the Files option. Step 2 Click the checkbox > Click Version history option. Now you can check the file size behind each version of the file. Actually, to upload files to Dropbox, or download files from Dropbox to computer, there’s a better choice for you. 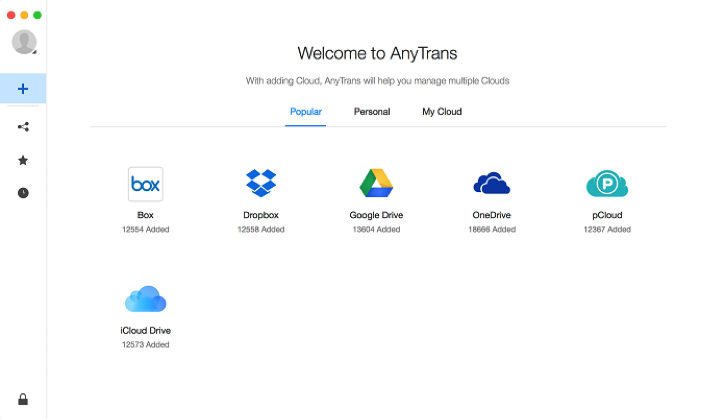 AnyTrans for Cloud, a comprehensive data manager, integrates with Dropbox, Google Drive, iCloud Drive, OneDrive and more major cloud storage services. AnyTrans for Cloud allows you to upload, download, transfer and share files on Dropbox, even among all your cloud services. It manages all your cloud drives in one safe place with just one login. Whether you are uploading or downloading files to/from one or several cloud drives, you can use maximum Internet bandwidth to make bulk transfer and save a huge amount of time. And here are detailed guide about how to do cloud management with AnyTrans for Cloud. With this detailed guide, you may have got the exact answer about Dropbox file size limit. And as you can see, AnyTrans for Cloud could also be good service to manage your files. So, just give it a try for free now.